The long-awaited Cher bio-musical, The Cher Show, has found its Broadway home! The show will open at the Neil Simon Theatre in the fall of 2018, with exact dates for the run to be announced. The new tuner based on the life and career of the Oscar-winning singer will first set down its roots in the Windy City, playing an out-of-town run at Chicago's Oriental Theatre beginning on June 12 for a five-week run through July 15. “My life as a musical on Broadway. It seems crazy, exciting and bizarre—but that's probably how my life seems to most people,” said Cher. As previously announced, The Cher Show will feature a book by Rick Elice with Avenue Q Tony nominee Jason Moore directing and Newsies Tony winner Christopher Gattelli choreographing. The Cher Show will feature orchestrations, arrangements and musical supervision by Memphis Tony winner Daryl Waters. The show chronicling the life of the music legend will include hits like “I Got You Babe,” “Gypsies, Tramps and Thieves” and “If I Could Turn Back Time." 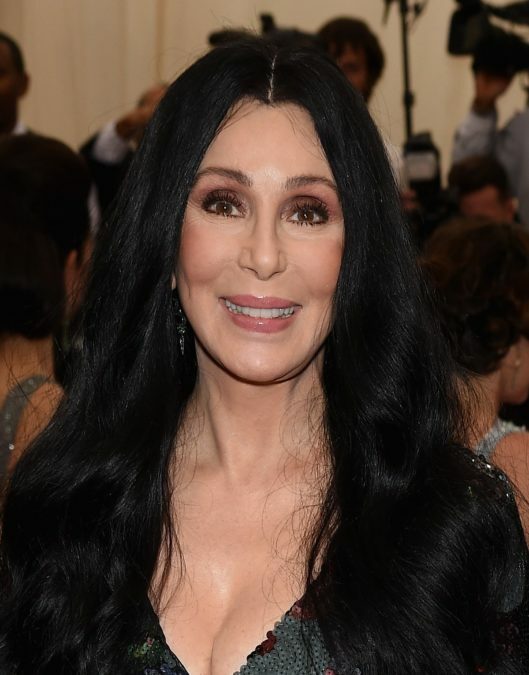 Casting for The Cher Show has yet to be announced, but the show is expected to feature three actresses playing Cher, each representing the Oscar winner at a different moment in her career. A recent reading featured Tony winner Lena Hall, Olivier winner Lesli Margherita and Jillian Mueller. Cher is the only artist in history to reach #1 on the Billboard charts in each of the past six decades. The diva has one Broadway credit; she starred as Sissy in Come Back to the 5 & Dime Jimmy Dean, Jimmy Dean in 1982. She reprised the role in the movie version the same year. The Neil Simon Theatre is the current home of Cats, which is slated to conclude its run on December 30 before a limited run of Angels in America plays from February 23 through July 1, 2018.